The Latin Lawyer Guide to Infrastructure and Energy Investment is the essential resource for potential investors, legal advisors and policymakers operating in the field of project finance in Latin America. This second edition builds on the foundation of the first, and updates on key jurisdictional changes namely: the lasting effect of the Car Wash scandal; the deteriorating situation in Venezuela; upcoming pivotal elections for Brazil, Mexico and Colombia in 2018; and new governments in Peru and Argentina. It also touches on how the actions of other world powers such as the US and China may impact trade and investment flows throughout Latin America. The AES Corporation, Albright Stonebridge Group, Basham, Ringe y Correa, SC, Climate Finance Advisors, BLLC, GST LLP, Hogan Lovells, International Finance Corporation, Machado, Meyer, Sendacz e Opice Advogados, Mattos Filho, Veiga Filho, Marrey Jr e Quiroga Advogados, Milbank, Tweed, Hadley & McCloy LLP, Nicholson y Cano Abogados, Rebaza, Alcázar & De Las Casas and Sumitomo Mitsui Banking Corporation. 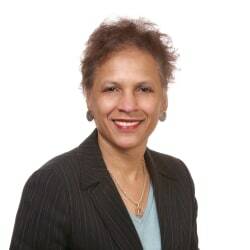 Claudette M Christian is the office managing partner of Hogan Lovells’ offices in Rio de Janeiro and São Paulo, Brazil, having relocated to Rio de Janeiro from Washington, DC in 2013. She has over 30 years of experience in complex cross-border corporate and finance transactions. Her clients are a mix of Brazilian and international companies, many of whom are involved in large infrastructure projects. She has played a key role in the development of Brazil’s oil and gas industry, representing key players in multibillion dollar project finance, structured finance and capital market transactions. She is known in Latin American legal and business circles for her client focus and ability to run large and complex transactions. She is a frequent speaker on corporate and finance transactions, and has won multiple awards and recognitions, including Latin Lawyers’ ‘International Lawyer of the Year’ in 2014.